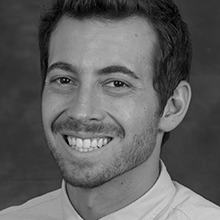 Justin Barad is the Founder and CEO of Osso VR, an award winning surgical training platform. Dr. Barad is a board-eligible orthopaedic surgeon with a Bioengineering degree from UC Berkeley, and an MD from UCLA where he graduated first in his class. He completed his residency at UCLA and his fellowship in pediatric orthopaedics at Harvard and Boston Children’s Hospital. In addition he has written about medical technology for more than a decade for Medgadget, a popular medical technology news site.